Ayurveda Medicine is an ancient medical practice that dates back to being over 5,000 years old. Ancient vedic wisdom, its said that western and Chinese medicine originates from Ayurveda. Some may be familiar with Ayurveda or may have heard of it before, this all encompassing healing system evaluates ones whole way of living. Taking into consideration the diet, the lifestyle, habits, etc. Mind, body, soul, everything about ones life gives clues to help Ayurveda medicine to heal individuals with ailments, sickness or disease. ​During a consultation we work one on one in-depth and review every aspect of ones life, the more information provided, the better. In Ayurveda it is said that there are 3 main body constitutions (Doshas) , you can have one main dosha or all three doshas causing havoc in your body. For example Vata is air element, wind, and cold, someone who is Vata dominant might have arthritis and joint pain. Pitta is fire element, hot, liquid, someone who is Pitta dominant may have heart burn, or ulcerative colitis. A Kapha dominant individual may experience lethargy, tiredness and chronic headaches, Kapha is earth element, dull, thick and sluggish. This is just a small glimpse through the veil of Ayurveda, with the use of herbs, spices, oils and working to treat the ROOT cause of illness, sickness, diseases and disorders, so much can be explained and healed with the natural, holistic approach of Ayurveda Medicine. Herbs, paste, recipes, and tinctures are priced individually and may change depending on each client case. An Ayurveda Head Massage is a form of massage therapy created in India thousands of years ago. It is a deep style of massage derived from the Ayurvedic tradition that focuses on the head, shoulders and neck. Through a variety of different techniques, the massage works to release any blocked negative energy in the body that may be manifesting itself as disease or injury in any one of the seven Chakras (energy centers) of the body. It does so by applying pressure to certain points on the neck, shoulders and head that correspond to each Chakra (which is a similar approach to that of reflexology). This unblocks the Chakras, and allows for a free flow of energy around the body, restoring the individual to optimum health and feelings of well being. The massage usually goes between 30 – 45 minutes, and may or may not use certain oils in the hair and on the body. Starting at the upper back, the Indian Head masseuse begins by applying pressure to points that dissolve knots and relax the muscles. They then move to the shoulders and upper arms to release other common areas of tension, and to the neck and head to release headache-causing blockages and to encourage better circulation of the cerebral fluid. The massage then progresses to the scalp, relaxing the entire head, encouraging circulation and stimulating hair growth. Lastly, a gentle face massage that may relieve symptoms of sinusitis & headaches, and encourages good circulation and a glowing complexion. Kalp is a holistic route to effective skin care management. Our products are handcrafted and deep-rooted. We blend the finest Indian herbs and spices to bring you quality products that open up the highest levels of consciousness. No two people are alike and our skin types vary greatly especially in its elemental sense. Using the same generic products without understanding our Dosha (Skin type) you can not only deteriorate existing skin conditions but also create a much deeper imbalance to your health and spirit. 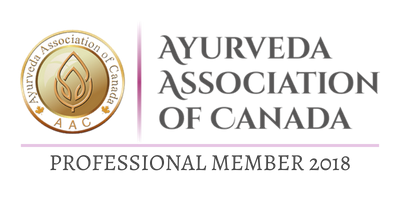 Ayurveda understands skin through ancient Ayurveda skin care, a 5000-year-old proven system of natural healing, stabilizers, and additives. We are an animal-cruelty free organization and while modern therapies fail to provide long-lasting sustainable results, our ethical beauty rituals invigorate lives. Our skin care products are loaded with essential oils and excel at eliminating irritants and bringing back natural elasticity.